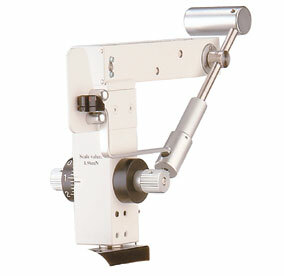 Reichert Tonometer - Ophthalmic Equipment and instruments for the professional of today. The Reichert Tonometer CT200 is a perfect match for the XCEL 250 and XCEL 200 slit lamps. It is also compatible with other Zeiss-style slit lamps. The Reichert Tonometer is easily mounted on the top of the slit lamp microscope and does not interfere with normal operation.